As marketing becomes increasingly data-driven, executives expect marketing departments to provide evidence that their efforts are getting results. At the same time, marketers are using a wider variety of tactics to reach empowered buyers throughout the funnel, which can make measuring the ROI of each tactic a challenge. With a solid understanding of metrics and analytics, marketers can justify existing spend and make rationalized requests for larger budgets. But many marketers still have trouble choosing the right metrics and asking the right questions in a full-funnel marketing environment. To help demystify measurement and attribution across the funnel, LinkedIn Marketing Solutions created The Sophisticated Marketer’s Crash Course in Metrics & Analytics. It’s a thorough examination of the topic, with practical lessons to help you create a metrics and analytics program that fits your organization. The eBook takes an in-depth look at upper and lower funnel marketing tactics and the metrics you can use to measure their effectiveness. You will also find expert advice from top marketing executives, including Andy Crestodina, Jon Miller, Meagan Eisenberg, and Nick Panayi. And case studies from eCornell and Replicon provide a blueprint for success. 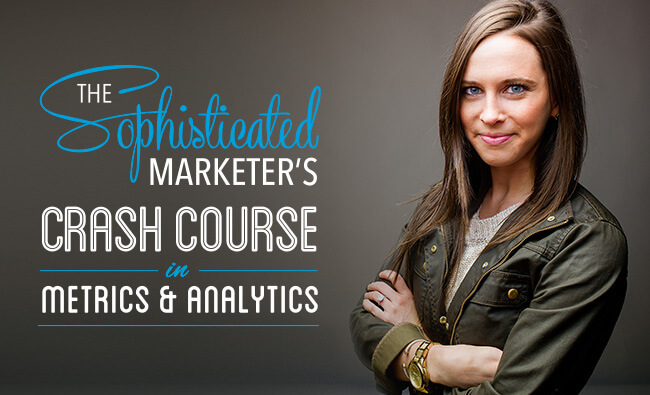 Download The Sophisticated Marketer’s Crash Course in Metrics & Analytics and start improving your full-funnel marketing efforts today.